Each zoom level that your map is set to is associated with a specific resolution. To learn more about the zoom levels in PiinPoint and how they impact the data you're loading in, see here. 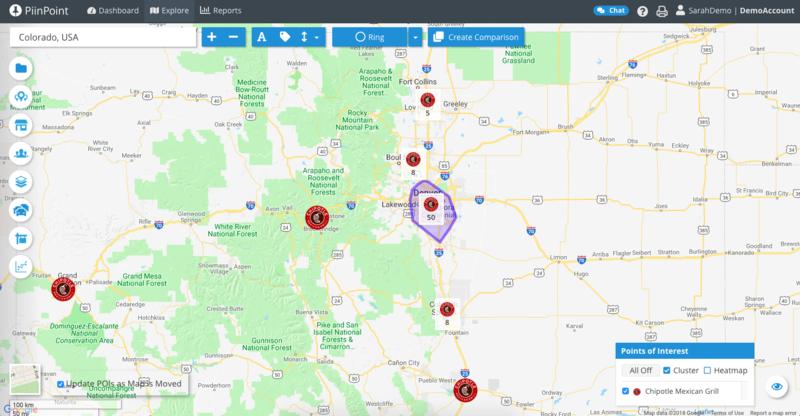 The Points of Interest just got a lot more powerful with the removal of the zoom threshold, allowing you to show any number of POI brands at any geography level. Regardless of what zoom level you're at, you can now query and show a retail Brand as a POI layer. This allows you to search for and show locations that span a large geography all at once. 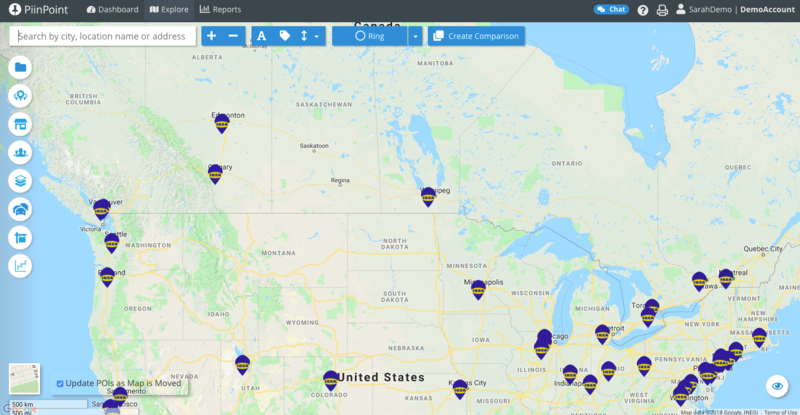 For brands that have over 15,000 results in Canada and the USA, results will be capped once you're requesting to show more than 15,000 of them on the map. E.g. McDonald's or Subway at the national level will not appear until you zoom in closer. 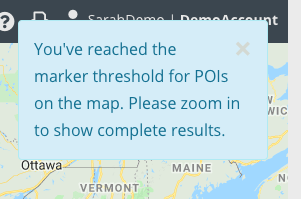 To search and visualize POIs on your map, check out our docs here. Still have questions about using POIs? Let your Customer Success team know via the chat or email support@piinpoint.com.